Make your way down to Sakura Carz today at Samabula, outside Suva and choose the car of your dream. 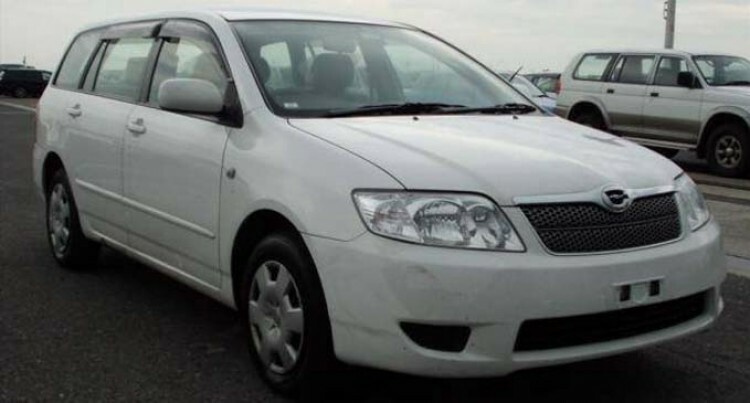 Sakura Carz is the second hand car dealer in Fiji is offering deals to help you drive away in your own way. The second hand car dealer is open seven days in a week where drivers can trade in old car for a quality and better one and with three to five years to pay off. Sakura Carz is the car dealers known for its experience in car models with more than 35 years in business. Sakura Carz has its January Specials sale where car prices are being slashed for customers at affordable prices. Sakura Carz understands customers who want an ideal car that is affordable so it works towards providing prices that are reasonable and within customer’s price range. From friendly customer service, to easy financial assistance process with less paperwork, you are guaranteed to leave with a smile on your face. So visit Sakura Carz today and check their wide range of quality pre-used hybrid vehicles that are sold at affordable prices . Customers, who would like to get a car, need to get an Identification, TIN letter, recent pay slip and recent written bank statement. For people living outside of Suva who are interested to contact Sakura, they can always email them through sakuraviti@gmail.com. Sakura Carz had started importing Toyota hybrid vehicles last two years ago and has sold more than seven million of these cars in the past 15 years and 95 per cent of the Toyota cars are still on the road. Hybrid is a combination of petrol power and battery, these cars travel by battery alone with speeds up to 60 kilometres per hours and the petrol engine only assist when the car is climbing up hills and when there is sudden acceleration. These hybrids are a bigger vehicle then a Succeed or Fielder, they priced at $14,000 and Sakura also import the latest model. Fuel consumption of the vehicle has been tested and has already been performed in Fiji, a full tank of this hybrid vehicle gives more than 900 kilometres or three return trips from Suva to Ba. The company provides a one year 16,000 kilometre warranty on engine and gearbox and a three-year 60,000 warranty on the hybrid battery, warranty does not includes wear and tear, negligence and accidents. These vehicles are available at a ten percent deposit with an interest rate starting from 7.5 percent and a repayment term of up to five years. Sakura Carz is a subsidiary company of Motorpart Traders, For more information on Sakura Carz contacts Team Sakura on 9991287/9049044/9995424 or visit Sakura Carz in Samabula located opposite Courts.